UTP (Unshielded Twisted Pair). 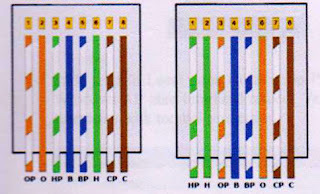 UTP cables are frequently used categori 5 UTP cable (UTP Cat-5). why? for Cat-5 UTP cable support data transfer up to 100 Mbps. This cable consists of 8 small that have different colors. 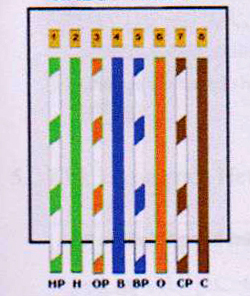 The cable color is orange, orange and white, blue, white, green, green, white, brown, white chocolate. crimping tool or crimping pliers. hardware that is similar to a pair of pliers. however, unlike its function pliers in general. crimping tool is useful to clip the cable to the RJ-45 jack. all the above hardware can be found at most computer stores. the price is not too expensive. peeled end of the wire about 1 cm, so that the small wires that are inside look. attach the cables and straightens. 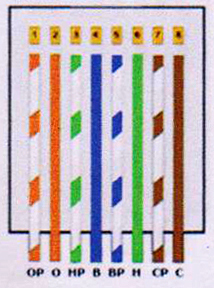 then collated and the trim on the white color is orange, orange, green, white, blue, white blue, green, white and chocolate brown. after it cut the edges so that the average of each other. after a structured cabling, RJ-45 jack grab. as I said earlier this jack consists of 8 pins. 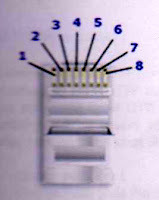 pin 1 of the jack is located adalahpin the left if your facing the pin position. sequential to the right is the jack 2, 3, 4, and so on. insert the cable until the tip is stuck in the jack. 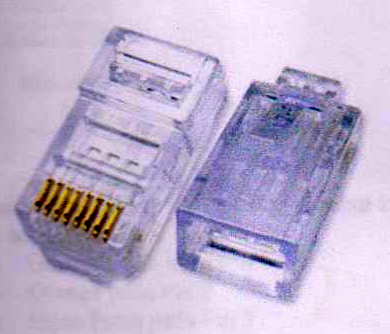 insert the RJ-45 jack which is mounted with the cable before crimping pliers in your mouth corresponding to the pin RJ-45 jack in the mouth pliers. now had a jack flops tangcrimping pin sticking up all over the wiring. usually if the pin is stuck jack will give voice "click". now you've finished installing the RJ-45 jack on the end of the first cable. 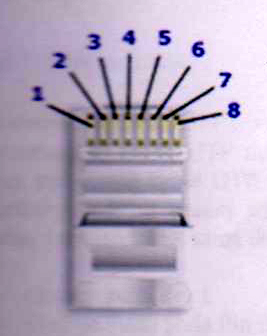 to the second end of the cable, the steps are the same as the first one end of the cable installation. to repeat the earlier steps to install the RJ-45 jack on the end of the second cable. 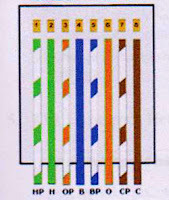 the conclusion is if you plug in the UTP straight type arrangement of colors on both ends of the cable is the same. 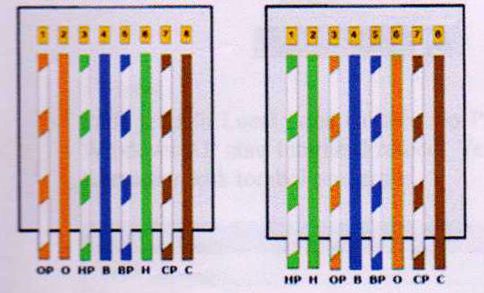 whereas UTP installation way cross type, color composition different from the first end of the cable end of the second cable. 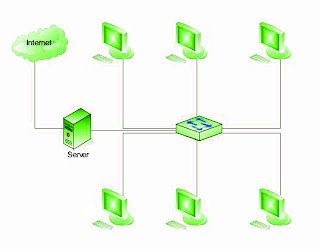 tutorial how to install this type of straight UTP cable and cross type.